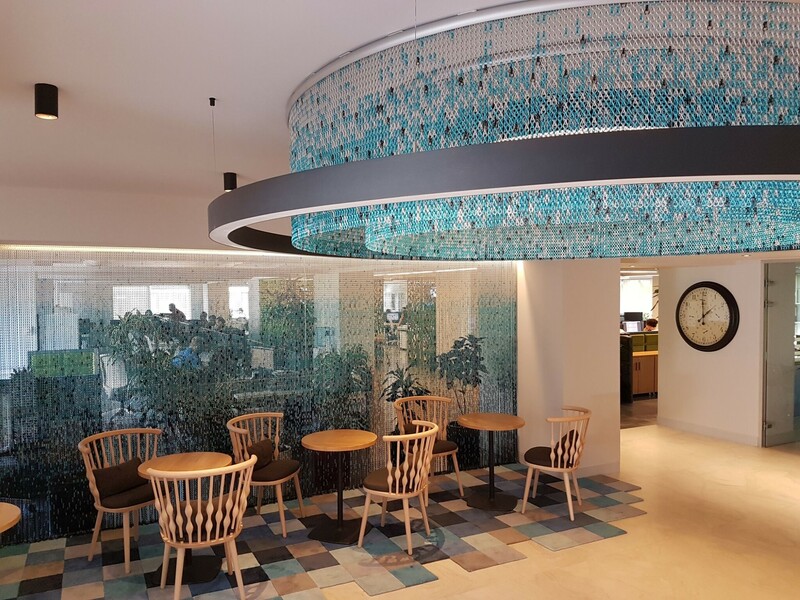 The team of designers of YPU Balmumcu, construction company located in Istanbul (Turkey), was responsible for designing the rest space that includes the metal mesh of Kriskadecor. As a separator of translucent space, we find an independent curtain with the Nieva de noche pattern, which changes from black to blue until it reaches silver, adding luminosity and colour to this diaphanous office. But the design that stands out most is the structure of the roof, a set of round concentric curtains that, with the same organic design in cool tones, surround the central point of light.